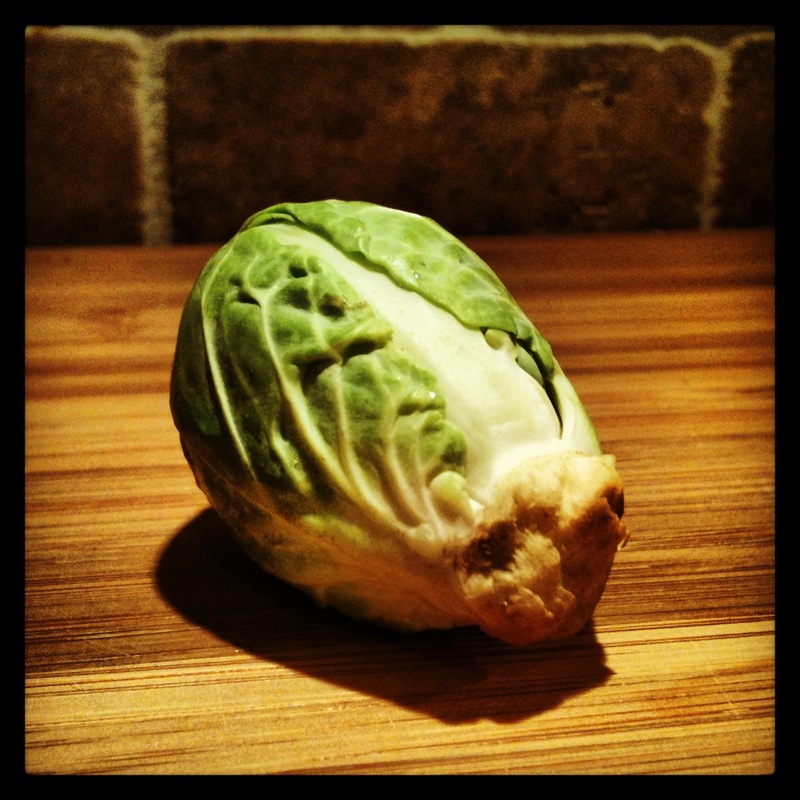 These poor sprouts are one of the most maligned members of the vegetable world. Nearly everyone has had an experience with these little guys that have been boiled to death resulting in soggy, brown balls of pure evil. And, after that, few go back for seconds. However, once you learn how to work with these sprouts, they will become one of your go-to veggie sides. They’re packed with nutrients, and with the right culinary treatment, even your littlest eaters won’t be able to get enough. When buying brussels sprouts, the best thing you can do is buy a whole stalk with the sprouts still attached. However, availability of whole stalks is fairly limited usually to the early winter months. 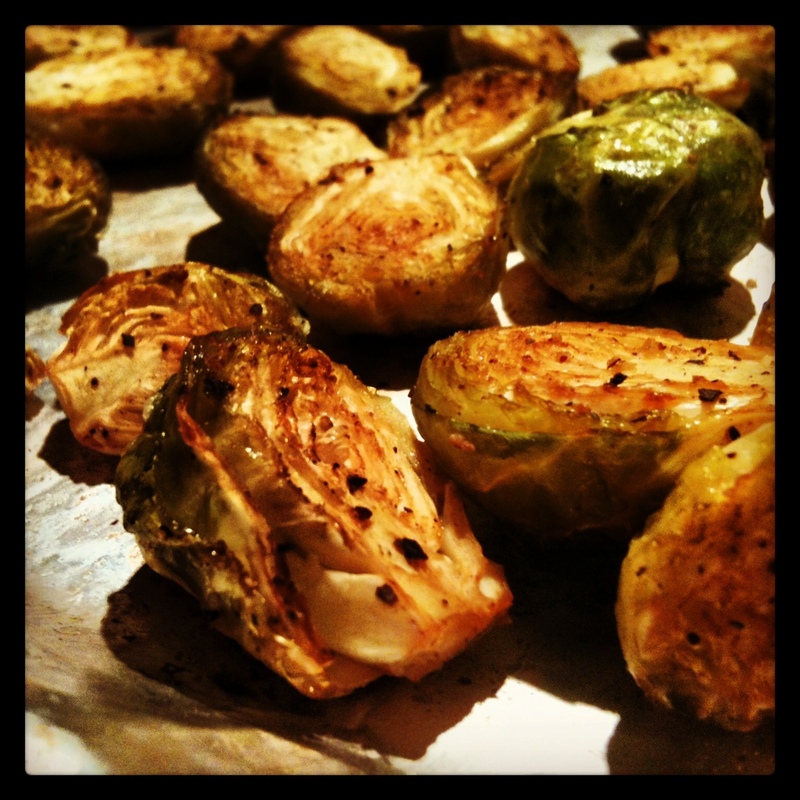 Regardless, when roasting brussels sprouts, you really need fresh rather than frozen sprouts. The key to bringing out the roasty flavors is using dry heat, and it’s just too hard to get the moisture out of the frozen sprouts. You want to buy small, dense sprouts with tightly packed leaves. The first thing you want to do is trim off the stems and remove any leaves that are loose or falling off. Next, slice each sprout in half. 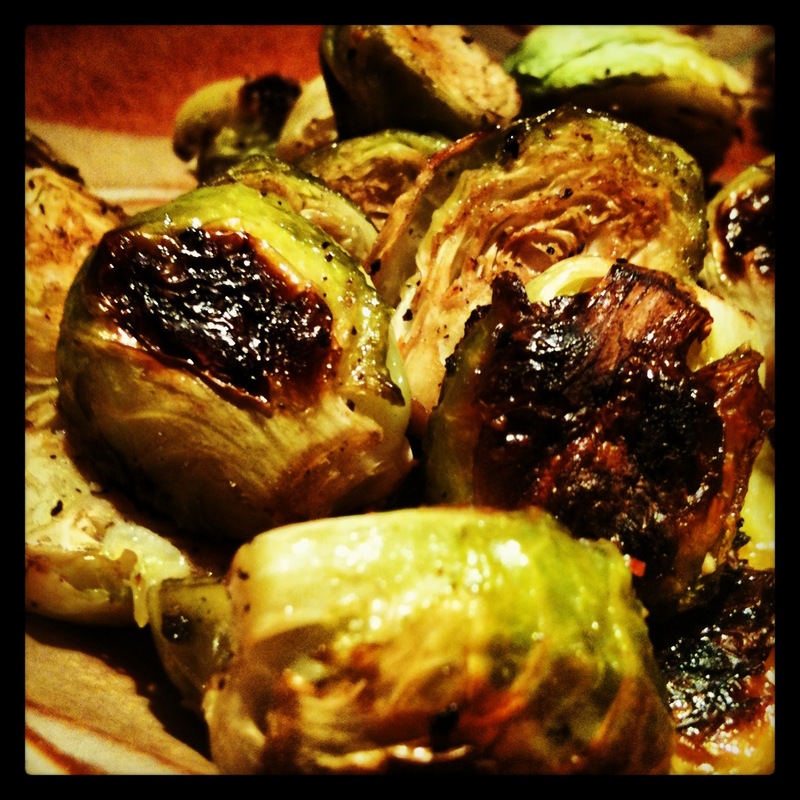 While you are prepping your sprouts, preheat your oven to 400 degrees. 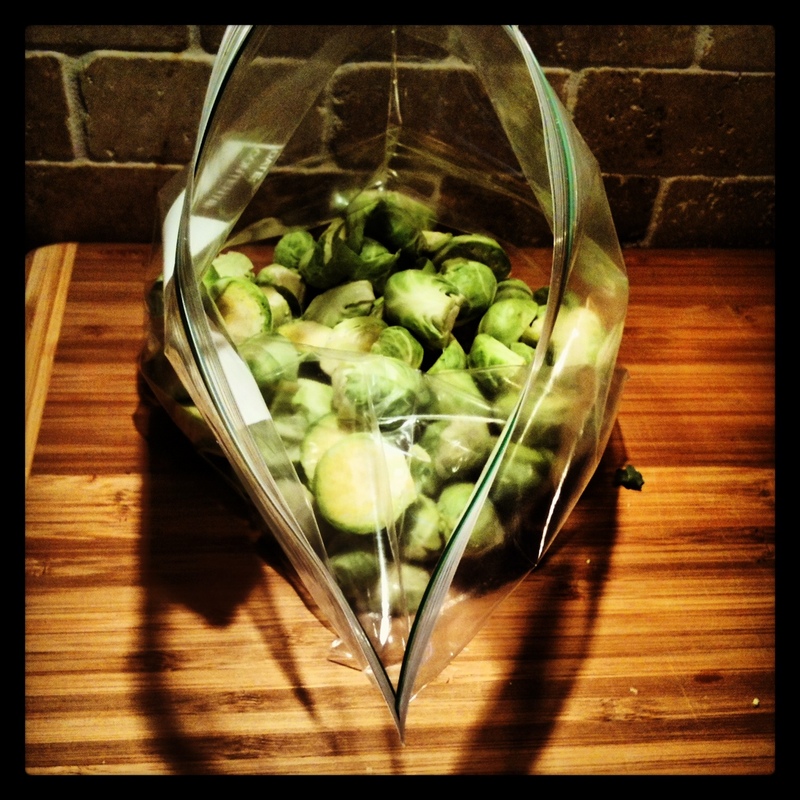 Once you’ve trimmed and sliced all of your sprouts, place them into a large zip top bag. Add salt and pepper, one or two shakes of worchestershire sauce and a drizzle of olive oil. 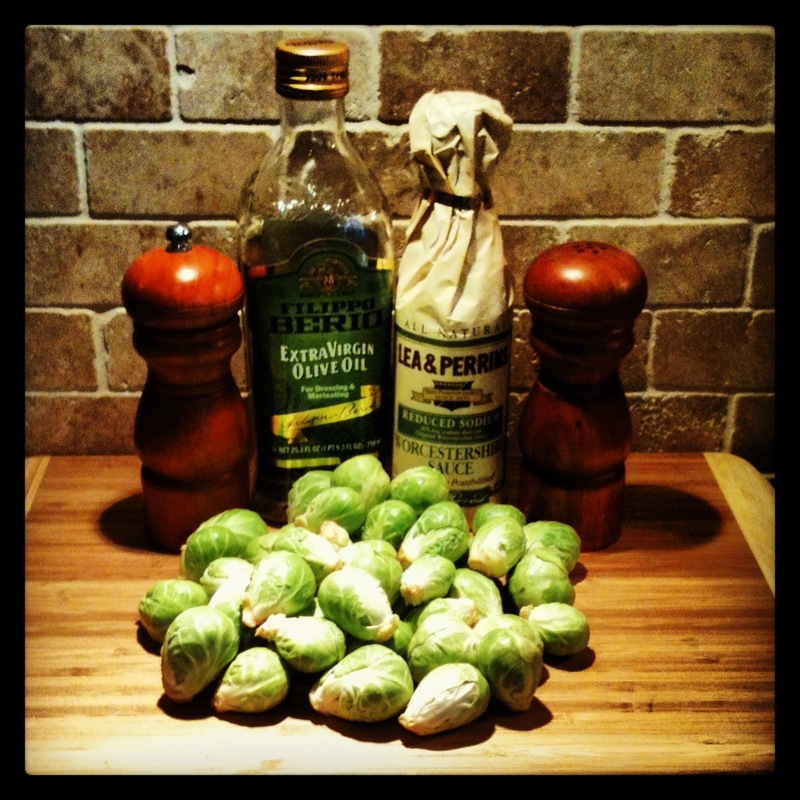 You don’t need a lot of oil, just enough that when you shake up the bag, there will be enough to lightly coat the sprouts. 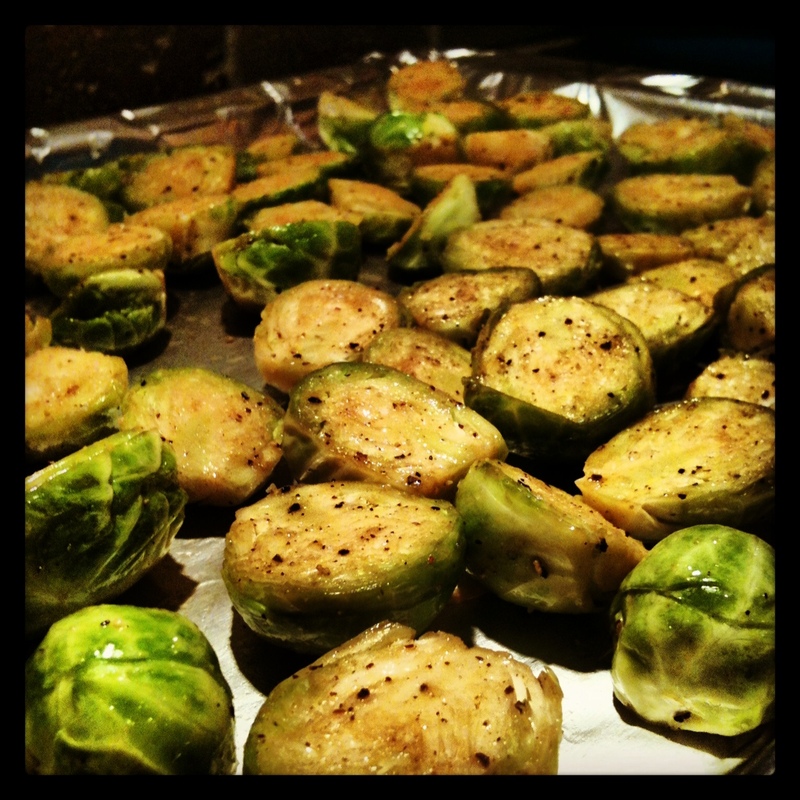 Cover a baking sheet with foil and spread the sprouts in a single layer on the baking sheet. 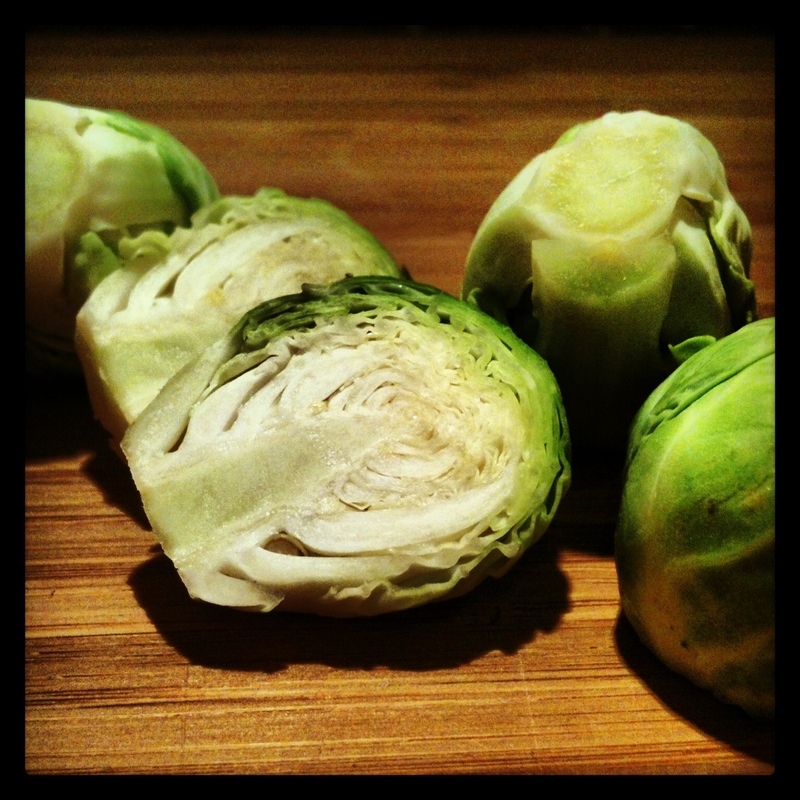 The sprouts will be tender, but still have some firmness since they weren’t boiled or steamed. Additionally, they will brown on the surface that is in contact with the baking sheet, adding a nice crunchiness as well. I hope this inspires you to give these poor sprouts another chance, and I hope they become a favorite in your family like they are in mine. Enjoy! I am obsessed with Brussels Sprouts. I put them absolutely everywhere (food-related, natch 😉 – salads, casseroles, roasts, pasta sauces – yum! I’m growing Brussels sprouts in my garden this year but they are certainly not on my list of favorite veggies. Once I harvest mine in a few months, I’ll have to try out this recipe!